If you know where to look, you’ll find that Los Angeles is filled with impressive historical buildings that are indeed a sight to see. 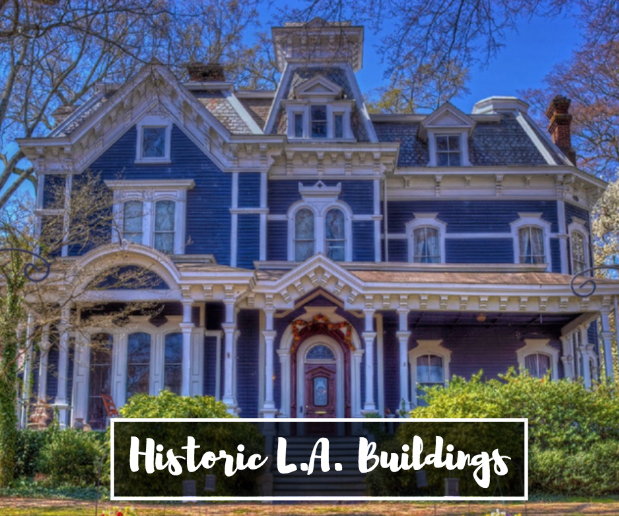 Whether you love architecture or want to learn more about the history of early Los Angeles, here are some great examples of historic buildings in the area. The Fine Arts Building is a little-known building located in the heart of the financial district in Downtown LA. The building was initially built in 1928 in the Romanesque Revival architectural style. Developed initially to house galleries for local artists, today the tradition continues as it houses both galleries as well as studios for local artists throughout all 13 stories of the building. The lobby is open daily to the public and also features artist’s works that rotate weekly. The Fine Arts Building is located at 811 West 7th Street. For an exciting area to explore, head to Carroll Avenue, a street that is located in Los Angeles, near Echo Park. The road consists of Victorian-era homes that were all built during the late 1800s. This particular area is one of the first suburbs that was created in Los Angeles. Carroll Avenue is filled with Victorian manors that are used as private residences as they first did back at the turn of the 19th century. Visit this historic street and step back into time as you see what houses looked like during the early days of Los Angeles. The Banning House was built in 1863 and is today a cultural and historical landmark in Los Angeles County. The house was built in the Greek Revival-Victorian style and today is known as one of the best examples of the Greek Revival architectural style in the West. The home was built by Phineas Banning, an American businessman, and entrepreneur who is known as the Father of the Port of Los Angeles. Come and visit the Banning house and museum today.